We would love to visit all out our loved ones over the Christmas period, sometimes that is not possible. Over the many years, Irish people have moved to all four corners of the globe. This is why so many people choose to send their friends and family those precious Christmas gifts by courier. The run up to Christmas is the busiest time of the year for sending parcels, so to help make sure your Christmas presents are posted and delivered on time, here’s our guide to sending Christmas Presents by Courier. This time of year is extremely busy for sending parcels, and this can lead to delays with delivery, so your parcel may take a little longer than normal to be delivered. If you want to make sure your Christmas presents arrive in time, get them sent as early as you can. Hopefully the receiver will not be tempted to have a sneaky look! If you’re a last-minute shopper, please be sure to check the sending dates we have, and choose the express services. If you’re still choosing which gifts to send, try and pick gifts that will travel well and are easy to pack and are not restricted in the country you are sending to. A number of items aren’t allowed to be sent with our couriers (check here: restricted and prohibited items) so make sure you don’t buy these items to send. If an item is restricted or prohibited, we suggest ordering it directly from the retailer and having it delivered directly to the receiver. Packing is very important to ensure your Christmas gifts arrive safely. Have a read of our Blog Post to parcel packing. It can be tempting to add some festive decorations to the outside of your parcel but we’d advise against this. Tinsel, bows, ribbons etc, can get tangled up when the parcel is being processed by our couriers. If you want to decorate your parcel, we suggest using two boxes – put your nicely decorated box in a larger plain box. Remember to use padding to protect your nicely decorated gift box. 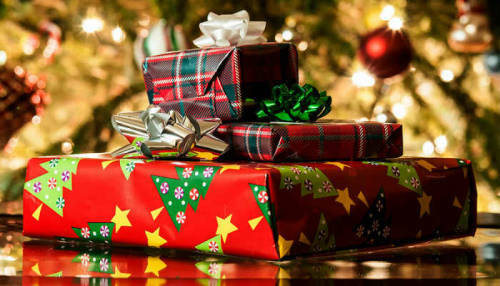 If you’re sending Christmas presents abroad, there are some things you should remember. If the parcel is staying within the EU, then you won’t have to complete any extra paperwork, like commercial invoices. If your Christmas presents are being sent outside of the EU, then you will need to complete a Commercial Invoice. Completing this form is easy with ParcelDirect.ie, and will be completed as you make your booking online. You’ll also need to check the different customs and import procedures and charges for each country. In most countries, there are no duties for gifts, but this is not always the case, so it’s best to find these out in advance, rather than leave the receiver of the gift with an unwanted bill. If you still think you need some more advice, please feel free to call us, and we will be glad to help out. A Simple Guide: Does Your Packaging Stand Up? The regular shipping of goods is a key activity of many businesses today. 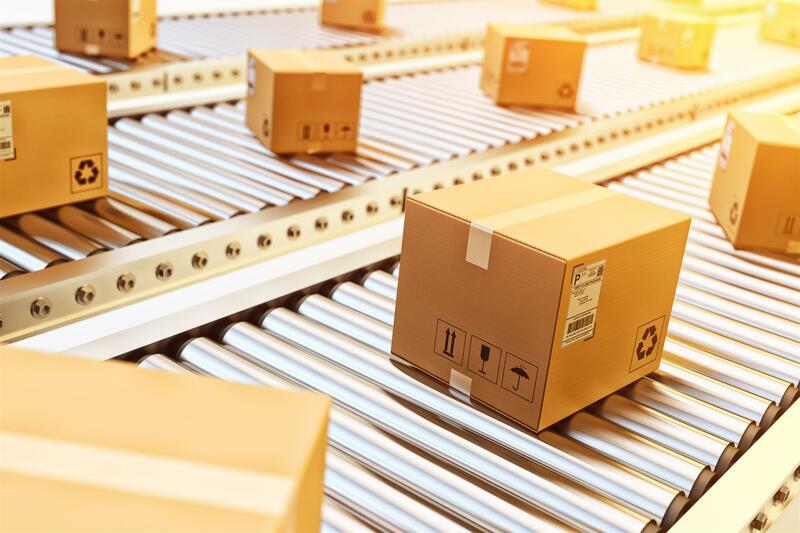 Whilst some companies have been shipping items for quite a while, some newer start-ups may only now be looking to complete their first orders. In any instance, good packaging is vital to keep products safe and secure during the shipping process. Using a courier to ship items is often the most efficient way to have your items delivered both domestically and internationally. Often during the transit process, your parcel will be subjected to high levels of pressure that the contents might not be able to withstand without first providing adequate protection. Here at ParcelDirect.ie, we do recommend a drop-test as a means of measuring the survivability of your box and its contents. To conduct a simple test at home simply follow the steps beneath. 1. Making sure that you have a clear space where you can drop your parcel straight down without it damaging anything or becoming an obstacle of any sort. 2. At this stage, simply hold your parcel out at the designated height listed on the table below and drop your parcel without moving. 3. If your parcel remains intact and all contents within remain undamaged, your parcel is ready for shipping. How Strong Should My Box Be? • Over 41kg will likely need a strong wooden box. When it comes to shipping by courier most items can be comfortably placed inside of your regular cardboard box. This is very different when sending other items such as bikes, musical instruments and artwork. These should ideally be shipped in specialist packaging. It doesn’t matter what you might ship, having the confidence that your item will arrive at its destination address intact is very important. A well cushioned item is the most important way to ensure that no damage whatsoever occurs during the shipping process. Prior to commencing the packaging process, you should have polystyrene peanuts or packaging paper at the ready. • Firstly, pour packaging material into the base of your box. It is important to have a layer of packaging material covering the entire base. • Ensuring your item fits comfortably inside the box, place it on top of the layer of packaging material. • Now, add more packaging material making sure that the sides of the item in question are cushioned from the sides of the box. • Once the box is filled with material, close the box and give it a good shake. If you detect any movement, add more packaging material. • The final step before sending is to seal your parcel. We recommend wrapping a strong tape around your box at least 3 times to ensure sufficiently. In the instance you are unsure of which box to pick, we recommend that you speak to our Customer Service Team in ParcelDirect.ie for advice. In today’s world of emails sending documents abroad may seem a little archaic, but in many instances, it is necessary to have a solid document to sign or amend. In the event that a document needs to be physically present, it is equally as important to have said document arrive in the most secure fashion possible. One important factor to remember when shipping documents abroad is that in most countries, documents can pass straight through customs on arrival. In the case of most other parcels, customs paperwork will have to go into some details about the contents of your package. Sourcing this information can often be difficult and time consuming. When starting the process of sending a document, often a phone call to the recipient could allow you to resolve the need for a sent document with a scanner and access to email. In the instance it is not possible or permitted to scan an important document, the team here at ParcelDirect are ready to assist you. When you book a delivery with the team here at ParcelDirect we offer a range of delivery options with the world’s finest courier companies. A number of our courier partners are able to deliver to a number of destinations more quickly while others offer a cheaper service. When it comes to the delivery of important documents, it is important to have full control over your shipment, which is why we offer a broad range of options. For an SME choosing the right courier partner is an important decision not to be taken lightly. Why is this you may ask? The right courier partner can help you to increase the growth rate of your overall business. So, what are the factors to consider when choosing the most suitable courier partner for you. In this post, we will discuss the 4 facts involved. Are you in need of an Urgent Delivery Service? In the first instance you must choose the best courier partner if you need something to be delivered urgently. It is important that the courier partner is immediately available for any urgent package requiring immediate collection and delivery. Does it matter Who Delivers or Collects My Goods? The provision of a quality service is one of the chief concerns for Small and Medium-sized Enterprises (SME) who need to deliver their products to end customers. It is important as a small business seeking to generate repeat business that a courier service which can provide the highest quality parcel delivery service is selected. What’s the Courier Package Size Limitation and Weight Limitation? Courier companies will provide differing limitations on parcel deliveries. Certain companies will focus mainly on providing large size parcel delivery services whilst other will focus more on providing a service for lightweight parcels. A small number of courier companies will specialise in providing both of these services. It is important to take note of this before deciding on your courier partner. Have you insured your Shipment? Prior to choosing your courier partner, you should always make sure that your parcel is insured throughout the delivery process. Insuring your parcel will enable you to claim back on any loss through insurance. In the case of a high value item, we would recommend getting insurance cover as substantial loss may be incurred due to a lost or damaged parcel.